and preserving the pay and benefits of all federal workers and retirees. Join Now to Protect Your Benefits! 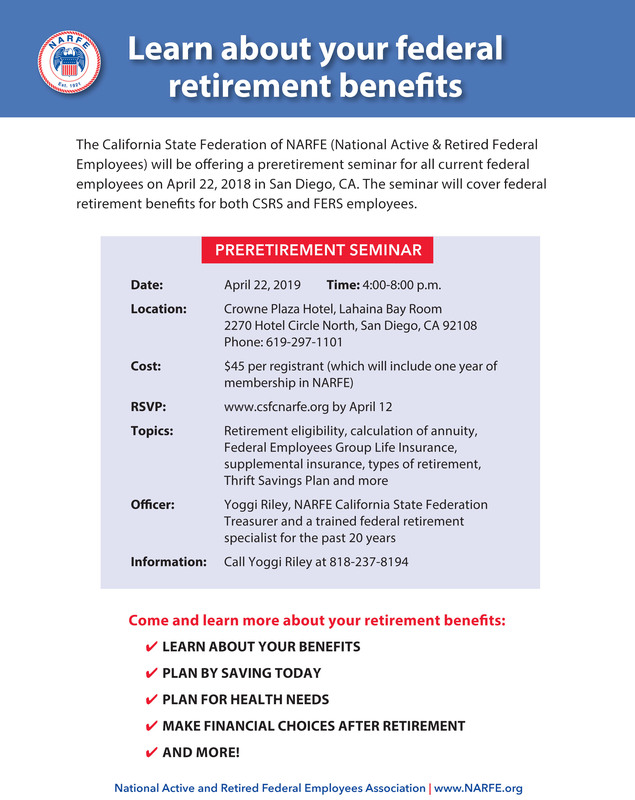 The Federation unites all regularly chartered chapters of NARFE in California into a State-wide organization for the mutual benefit of all members. We coordinate the activities of the member chapters in safe guarding and improving the interests and welfare of all persons eligible to be members of NARFE. We support and assist the National Association in all its authorized projects. We promote and actively participate in the retention of current members and recruitment of new National and chapter members. We encourage and assist in the formation of new chapters.